Husband of Ethel May Portlock, of 24, Canon St., Leicester. Through speaking to Pat Smith (born Portlock) of Nelson about E. Portlock whose name appears on the memorial I have been able to confirm that this relates to Percy Portlock, brother to Ernest whose details are included on another page. Their mother Marie Ann was also from Gloucestershire. 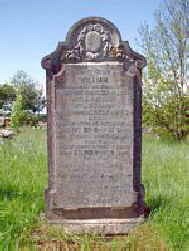 She died on 2nd July 1947 aged 84yrs. THIS INFORMATION IS COPIED INTO THE PAGE RELATING TO ERNEST PORTLOCK, A BROTHER OF PERCY HERBERT PORTLOCK.